A few words by Brad Griggs, owner and operator of Canine Services International. Thanks for taking the time to check out our website. Canine Services International may be headed up by me, however I should probably start this page off by stating that things only run as well as they do due to a great bunch of ‘staff’, long term supporters, understanding family, and of course our awesome clients – many of whom have become dear friends along the way. Now you know to whom I am referring when you see or hear me use the terms ‘us’ or ‘we’ or ‘team’. I’ve been working professionally with dogs for almost a decade now, though I have owned dogs for most of my life. Over the last 10 years I have worked very hard to gain a wide variety of specialised experience. I have worked even harder still to become proficient in achieving a wide variety of training outcomes with all types, temperaments and ages of dogs. 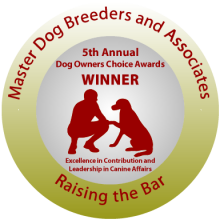 Through this hard work and commitment I have developed a solid reputation within the dog training and behaviour industry, which I continue to earn daily. Self endorsement is no form of recommendation however ; I am frequently asked to consult for other trainers dealing with problematic dogs, especially those that are very difficult to train or are exhibiting aggressive behaviours. 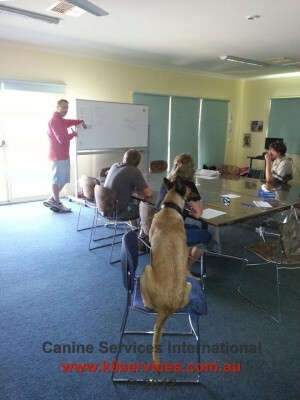 I am also a regular Specialist Presenter on Australia’s only nationally recognised, government accredited course in dog behaviour and training, where I enjoy teaching aspiring dog trainers on topics such as fear, anxiety, aggression and dominance, as well as the advanced obedience concepts such as proofing, and phases of learning. My own professional development is a continual process, and speaking with people across Australia and internationally on a regular basis really does help me keep ‘up to speed’ with advances in understanding, as well as best practice. I continually attend a variety of courses, workshops and seminars throughout any given year, and I am currently studying for an Animal Control & Management qualification. It’s the dog trainer’s disease – one can never know enough! 2013 also sees us running some seminars and workshops with international talent, which is very exciting to say the least. I firmly believe that ‘birth till death’ dog training is an integral part of responsible canine guardianship, and as such I pride myself on the fact that I will work with any dog, regardless of breed, age or problems (as long as it is healthy). It is my opinion that dog training and behaviour professionals should not only be judged on the training outcomes they achieve, but also on the dogs that they turn away. As well as operating a dog training and behavioural consultancy business, a significant portion of my time, finances and energy is devoted to advocacy work within the community. 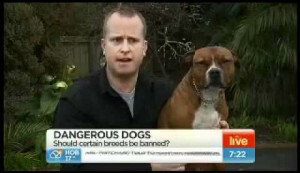 I proudly play a prominent role in spreading the word about dog behaviour and dog bite prevention throughout Australia, and as a result you may see me commenting on matters of dog training and behaviour in the media from time to time. If you are a dog owner/handler that, just like me, wants the best for their dog then I extend to you an invitation to come and train with me. Working together we will improve the relationship you enjoy with your do and realise your training goals, whatever they may be. I have developed a Community Interest Scholarship Program (CISP), allowing me to give back to the dog training and behaviour community that I belong to. The CISP allows those with a demonstrated commitment to and/or significant talent for dog training to access appropriate development opportunities. Equally, the CISP provides an opportunity for those with a pressing need for dog training and/or behavioural help without financial means to access assistance. Best of luck with all your training endeavours.